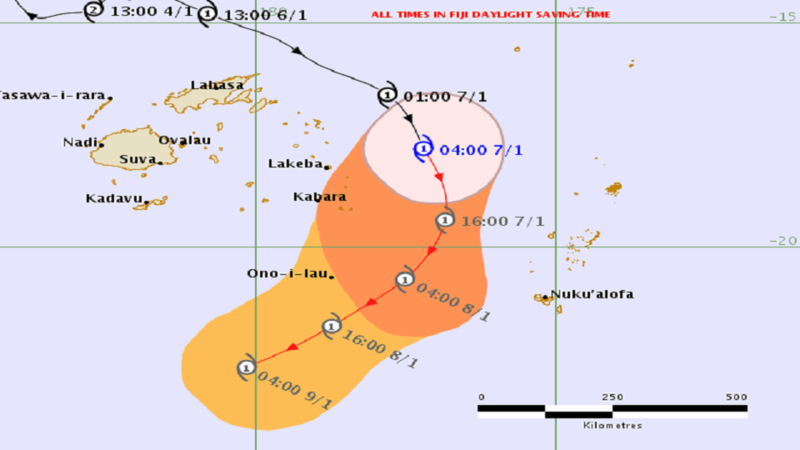 Tropical Cyclone Mona category one was located at about 180km East-Northeast of Lakeba or about 330km East South-east of Taveuni at 2am today. 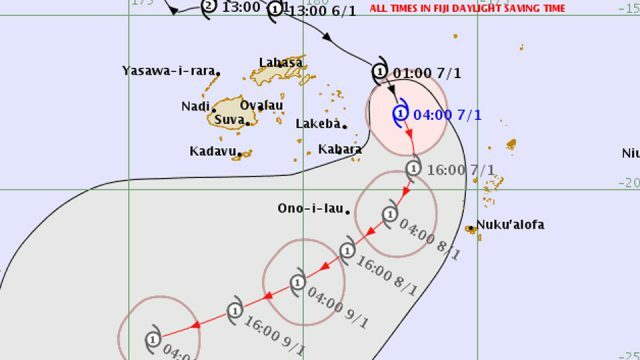 Fiji Met Office Senior Forecaster Amit Singh says TC Mona is moving Southeast at about 30-35km/hr and will continue in this direction in the next 12 to 18 hours. Singh says the system will remain over the Fiji waters in the next 24 to 36 hours and probably exit the Southern Lau waters by tomorrow afternoon or evening. He says as the system moves away from the group, another trough of low pressure will affect the group on Wednesday, bringing rain which could become heavy at times. 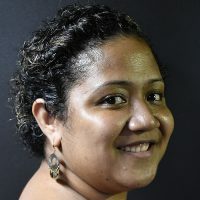 Singh adds the Lau and Lomaiviti group should expect occasional rain becoming heavy at times today and tomorrow. Meanwhile, a gale warning remains in force for Vanuavatu, Oneata, Moce, Komo, Kabara, Namuka-I-Lau, Fulaga and Ogea. A tropical cyclone alert remains in force for Vatoa and Ono-I-Lau. A heavy rain warning remains in force for Lau and Lomaiviti group, Kadavu and nearby smaller islands. A flood warning remains in force for all low lying areas, small streams and areas adjacent to major rivers of Bagata and Rewa catchment.